Klaipėda is a port city in western Lithuania that is establishing itself as an industrial hub attracting foreign direct investments (FDI). The city has a Free Economic Zone (FEZ) that has undoubtedly boosted Klaipėda’s business image. 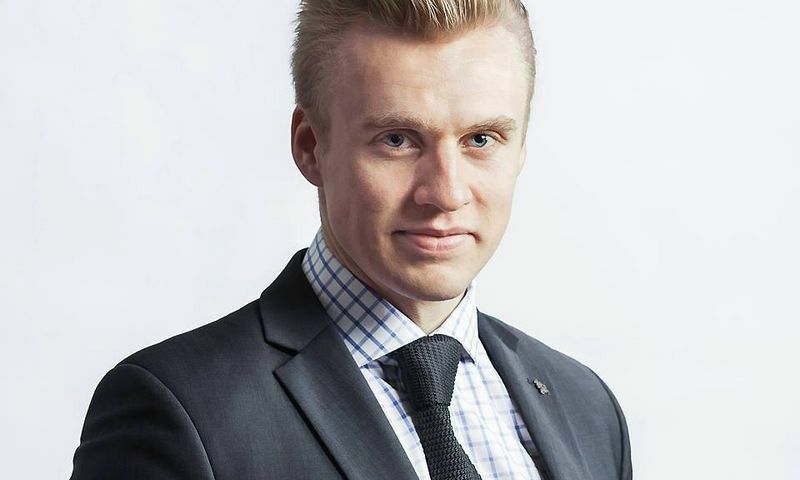 Yoan Stanev spoke with Simas Simanauskas, the director of Klaipėda ID, the city’s development agency, about the aims of the agency and Klaipėda’s potential as a business destination for foreign investors. Yoan Stanev (YS): Klaipėda ID was established eight years ago, but it started operations only recently. How so? Why does the city see the need to promote itself as an investment destination? Simas Simanauskas (SS): Klaipėda ID (the former Klaipėda Economic Development Agency) was founded in 2001 and tasked with promoting creative industries in the municipality-established Kultūros Fabrikas (Cultural Factory) incubator. In 2016, city stakeholders decided that Klaipėda needed additional momentum and began creating what became known as the Blue Strategy: Klaipėda 2030. In order to successfully implement the strategy, it was agreed that Klaipėda Economic Development Agency needed more fire-power and resources to work with improving Klaipėda’s business climate, investment promotion, city marketing, talent attraction and other activities. Klaipėda has a number of strengths that make it stand out from other locations: the best performing port and Free Economic Zone (FEZ) in the region, a great geographical position, and strong education traditions in maritime and engineering. Now it’s time to capitalise on that with the robust FDI attraction strategy that was recognised at the Emerging Europe Awards. YS: What is your vision for the city? How is this reflected in your 2030 Development Strategy? SS: Klaipėda is now focused on the blue economy and becoming a modern city synonymous with fast decision-making. We want it to be a city of 200,000, where people work in world-class companies and enjoy an excellent work-life balance. The Klaipėda 2030 Strategy sets out four priority sectors that will be key for the growth of the city: the marine economy, the bio-economy, the industry 4.0 economy, and the services economy. To ensure our vision becomes reality, we need to work on three pillars: improving business environment, strengthening education-business cooperation and creating the required infrastructure. YS: What is the value preposition for the tech and marine sectors? SS: We believe we have the right package to further strengthen marine and high-tech sectors. Firstly, Klaipėda has excellent training facilities. With Klaipėda University, LCC University, Lithuanian Maritime Academy and Klaipėda State University of Applied Sciences, we have students from all over the country coming to Klaipėda, because they want a career in the maritime sector. With 19,200 students in engineering, manufacturing and technologies, electronics and marine in the Klaipėda catchment area, we have a strong young force behind us. Secondly, we have the infrastructure and we are expanding it. Klaipėda port is one of few in the Baltics that continues to grow year-on-year, with a record 43 million tons of cargo in 2017. We are looking to beat that number this year. 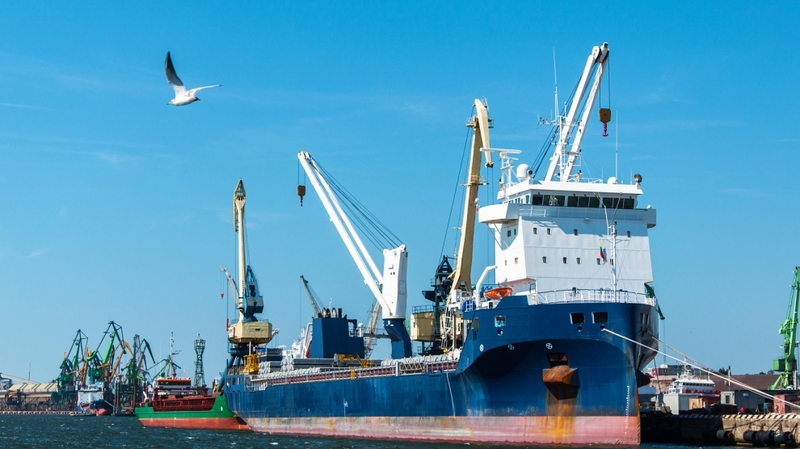 Furthermore, there are plans to build a 130-hectare outer port by 2025, together with dredging the area to a depth of 17m, which would allow Baltmax size ships to call into Klaipėda port. Klaipėda FEZ, on the other hand, has been the most successful FEZ in the Baltics with more than 1 billion euros of revenue generated by investors in 2017. In 2017 we were recognized by the Financial Times for having the world’s fastest on-site operation launch for our clients. Thirdly, we have organisations that facilitate the hi-tech and marine sectors: Klaipėda Science and Technology Park, Klaipėda University laboratories, Open Access Centre and LNG Cluster. The Lithuanian LNG cluster seeks to establish Lithuania as an LNG technology and distribution centre in the Baltic Sea region by developing knowledge, technology and business partnerships. Maritime and manufacturing companies in Klaipėda have longstanding traditions and experience, such as Klaipėda Western Shipyard (part of BLRT Group), which has 2,000 employees and 1,500 sub-contractors and, apart from traditional shipbuilding and repair, provides complex ship design and engineering solutions and software design for automation. There is a huge opportunity to leverage off existing established maritime, manufacturing, assembling, engineering and port companies to identify potential projects in Klaipėda. YS: ID wants to promote the bio-economy, manufacturing and business services. What makes Klaipėda an interesting location for these sectors? SS: Lithuania is already an attractive location for shared services and business process outsourcing centres: there are over 70 centres that employ over 15,000 people. We want to make Klaipėda an attractive location for marine companies to establish their shared service centres. Klaipėda is a port city with a long-standing maritime tradition, that includes business services as well. We already have a few shared service centres in the city, such as Greencarier, one of the Nordic’s largest privately-owned transport companies, Omega Technologies, a Norwegian tech service provider or Exadel, a digital software engineer. We are the second youngest city in Lithuania, several modern office buildings are being built at the moment with world-class broadband speed and we offer an urban environment near the sea. Klaipėda has long been known for its manufacturing tradition. The strategic location, competent and determined employees and a strong infrastructure with continuous development are key factors for business to invest and grow. In Klaipėda we are proud of our dedicated, professional and constantly improving talents that create great value for companies. Education and constant learning are top priorities where city stakeholders continuously put in the effort to improve and promote business-education cooperation, informal education, IT, engineering and languages even in primary schools. Klaipėda University has taken a leadership role to coordinate a consortium of education institutions in the city to ensure everyone specialises in what they are best at. In terms of infrastructure, we have one of the best quality road networks in Europe, a nearby airport and the most efficient port in the region, which makes it an ideal location for intermodal logistics. Shipping services and destinations give even more added value to the Klaipėda value proposition. For instance, one of the largest shipping companies runs a service from Klaipėda port to King Abdullah port in Saudi Arabia. This is the only direct service from the region to Saudi Arabia. When it comes to the bio-economy, chemical industrial production is one of the best developed sectors in the Klaipėda region, with two of Europe’s largest polyethylene terephthalate (PET) producers based here. Some of Europe’s first multilayer PET containers were produced in Klaipėda, and the NEO Group’s Klaipėda production facility produces 308,000 tons of PET pellets annually, accounting for 12 per cent of Europe’s production. Forestry, timber, timber products and paper are strong economic sectors in the Klaipėda region. We have two big furniture producers in the region, both of which last year announced huge expansion plans. YS: How does Klaipėda ID help foreign investors? How do you differentiate yourself from other investment promotion agencies, namely Invest Lithuania? SS: We call Klaipėda ID a city development agency, since our scope is wider than FDI attraction: investment area improvement, city marketing, international relations, talent attraction, facilitation of entrepreneurship. Even though we have closely monitored KPIs (key performance indicators), we are also very flexible and open-minded about projects and cooperation that bring added value to the city’s development and growth. For instance, at the moment we are working with organisations from Oslo on a few projects that tie the Oslo and Klaipėda start-up systems closer together. Of course, our central mission is to be a one-stop-shop for any inquiries, information and services related to investment projects in the city. We provide the necessary information, work as an intermediator between investor and municipality, educational institutions, the port and FEZ, businesses and national organisations. Everything we do is oriented towards bringing the most value for the investor. We embrace our partnership with Invest Lithuania, which is a national FDI promotion agency. Around a third of our personnel have worked at Invest Lithuania at some point in their career and we speak a common language. The difference is that we are local – we cover the Klaipėda region – while Invest Lithuania in national Investment promotion agency. Whenever there is a potential project in Klaipėda, we work together. YS: How does Klaipėda differentiate itself from other cities and the broader Baltic region? SS: To sum up, Klaipėda is a rising city with a lot of ambition to excel in the blue economy. From an economic perspective, we already have the best performing EU port in Baltic region, the best FEZ in the Baltics and state-of-the-art education facilities. From a lifestyle perspective we are famous for having UNESCO heritage sights within the city’s boundaries, Blue-flag beaches and urban infrastructure that makes navigating the city seamless – be it on foot, bike or car. And with the 2030 Strategy now in operation, we hope to solidify our image internationally as the best place to live, work, rest and invest in the Baltic region.